Happy Monday, friends! I’m happy to report that Kane has successfully made it to school on time all four days since school started, and today, we were even 5 minutes early. That drop off line is no joke. 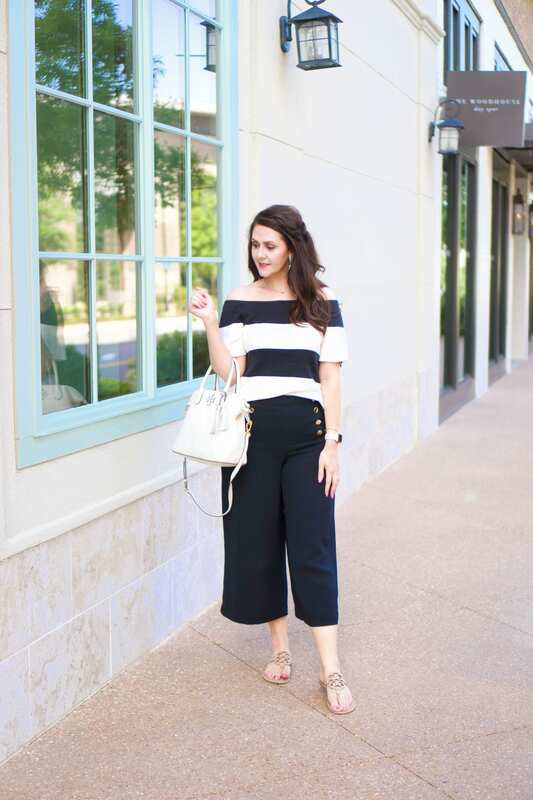 Anyways, today I’m sharing a trend that’s gaining momentum–wide leg cropped pants. I’ve been wearing skinny pants for so long that it’s a little strange to wear anything wide leg. 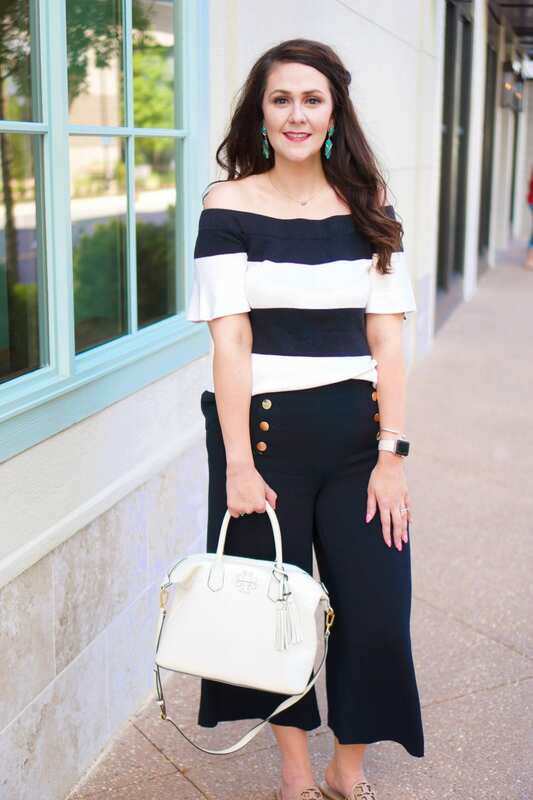 I saw this pants on the Loft website, though, and just had to have them. 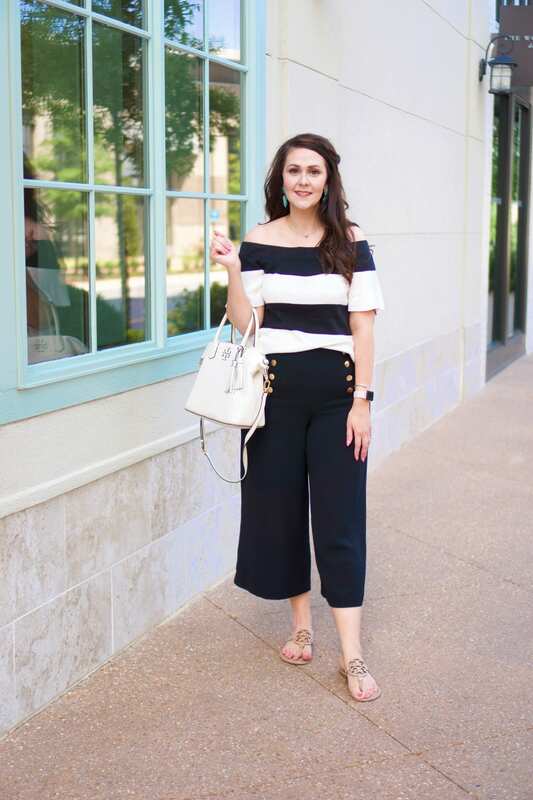 I like wide leg pants best when they’re cropped. This pair especially looks chic with the gold button detail. Definitely a step up from the gouchos I wore in undergrad. 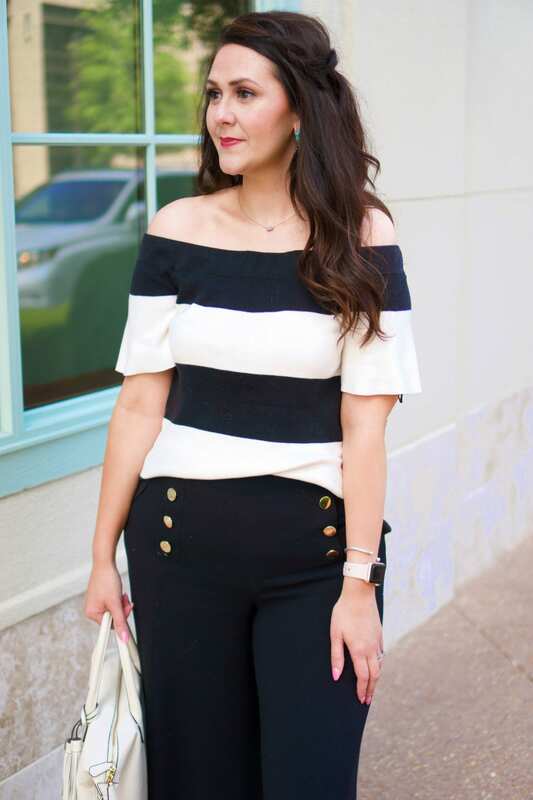 My striped OTS top was a little more loose, so I did a front tuck to show off the gold buttons. 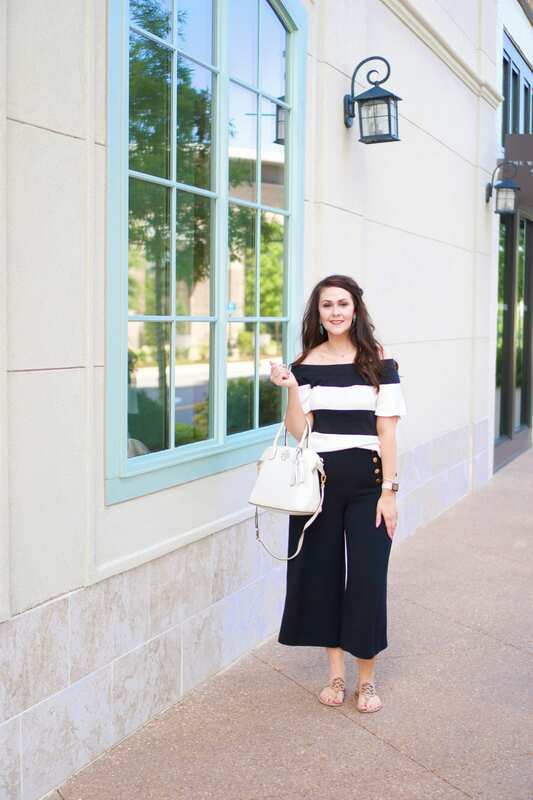 You could also pair these wide leg crop pants with a tight turtleneck to transition them into fall. 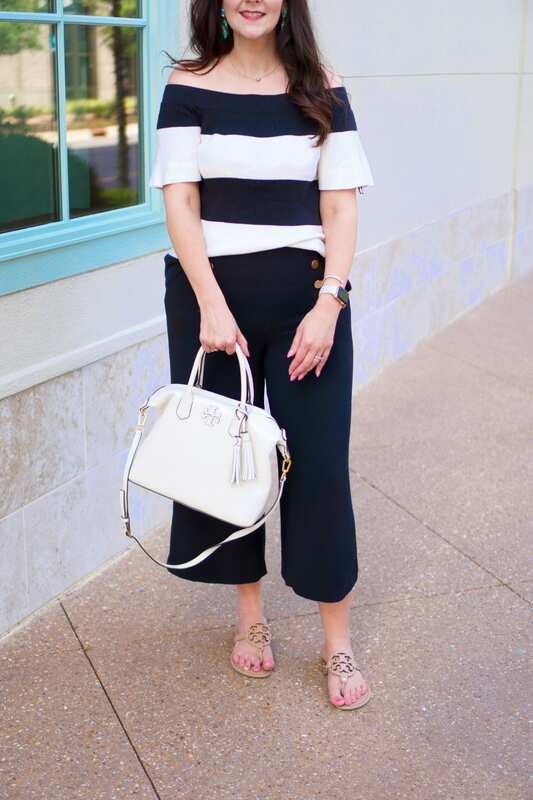 Here, I paired this outfit with my TB Miller sandals as I was doing a lot of walking at #TBScon, but you could just as easily pair it with some suede heels to take this outfit to the office. 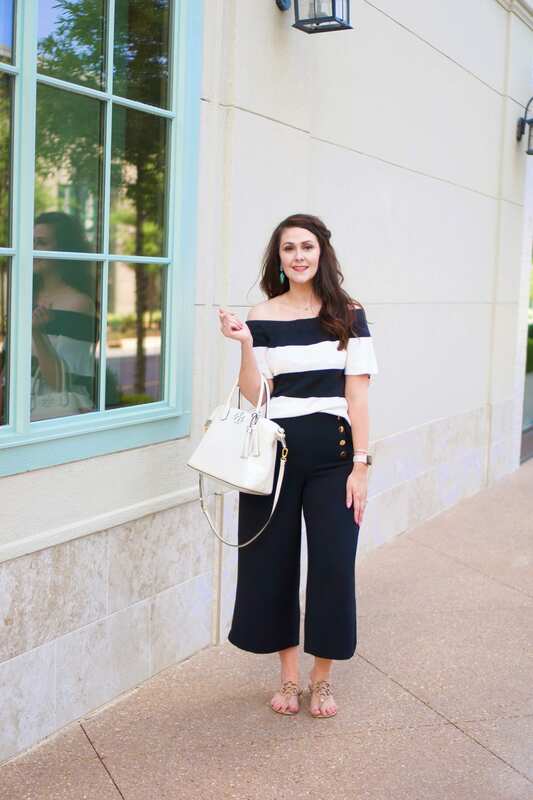 How do you feel about the wide leg trend going into fall? Photos shot by Amanda of Strawberry Chic. I feel like that would be comfortable!